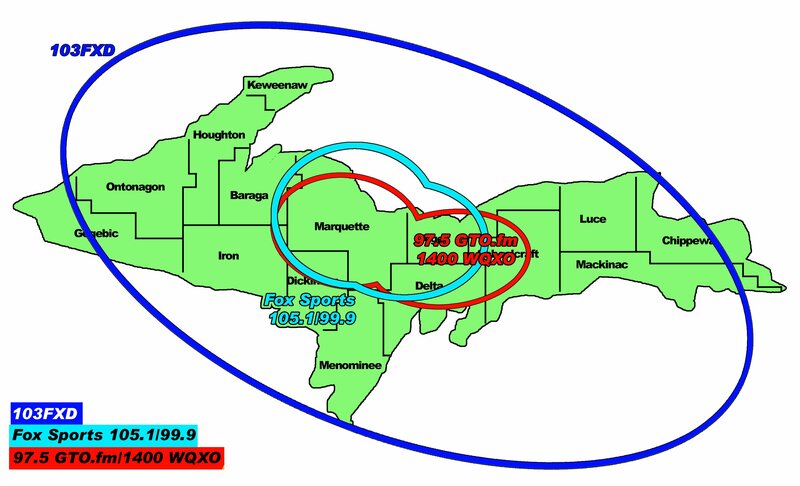 Marquette, Michigan – September 23rd, 2016 – John, Pete, Ryan were in Marquette for Marquette Redmen Football Night for their game against the Gladstone Braves on Fox Sports Marquette 105.1 & 99.9FM and Simulcast during the Big Game of the Week on 103-FXD. It was the fifth game of the season, and the Redmen looked to take home the win. John, Pete, and Ryan brought you their stats and predictions during the Honor Credit Union pregame show! 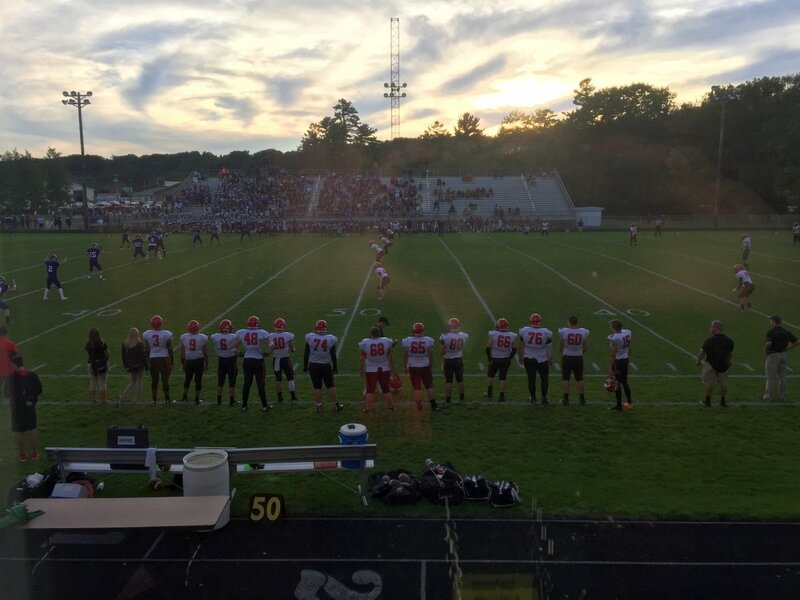 It was a beautiful night for football as the Marquette Redmen received the kick off to start their game against the Gladstone Braves. 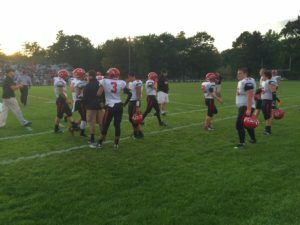 The Redmen’s first drive ended at the Braves’ 15 yard line, but a forced fumble on the first Gladstone drive gave control right back to Marquette. 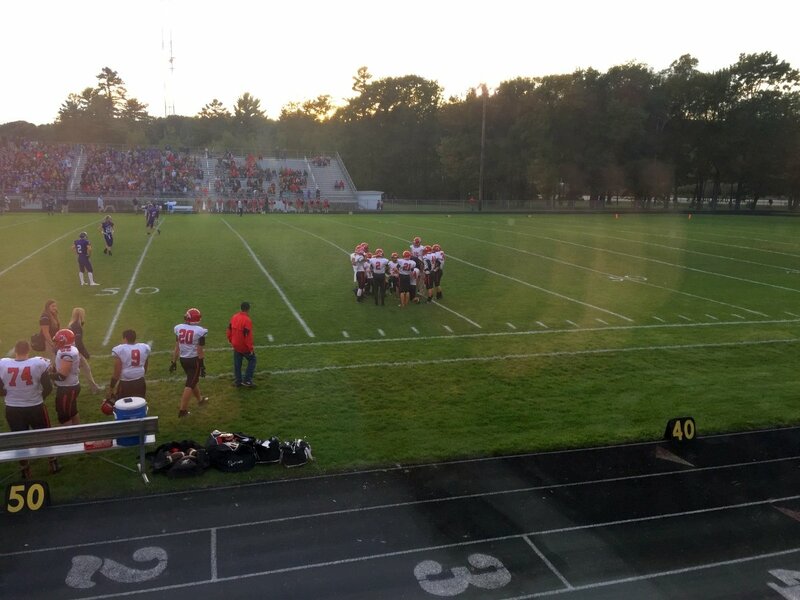 They were able to make the most of Gladstone’s error, and midway through the first quarter, the Redmen went up 7-0! Matt Zambon was having another great defensive game for Marquette, and he forced a turnover on downs situation midway through the quarter, preventing any scores in the first from Gladstone. Late in the quarter, a field goal and touchdown brought Marquette’s score up to 17-0, and that’s how the quarter would end. On one of the first plays of the second quarter, Gladstone broke free on a pitch and catch, and after a two point conversion, the Braves trailed the Marquette Redmen by just nine points. With just a bit over eight minutes remaining in the first half, Drew Gale ran in for a 3 yard touchdown, and that brought the game’s score to 24-8, with Marquette leading the way. Marquette forced another fumble from the Braves, this time getting the ball on their own 45 yard line to start their drive with excellent field position. Continuing their excellent play, the Marquette Redmen added another touchdown to their score, making it 31-8, but that wasn’t the end of the scoring. With just 22 seconds left in the game, Gladstone ran in for a touchdown, and after a successful two point conversion, the score was 31-16. 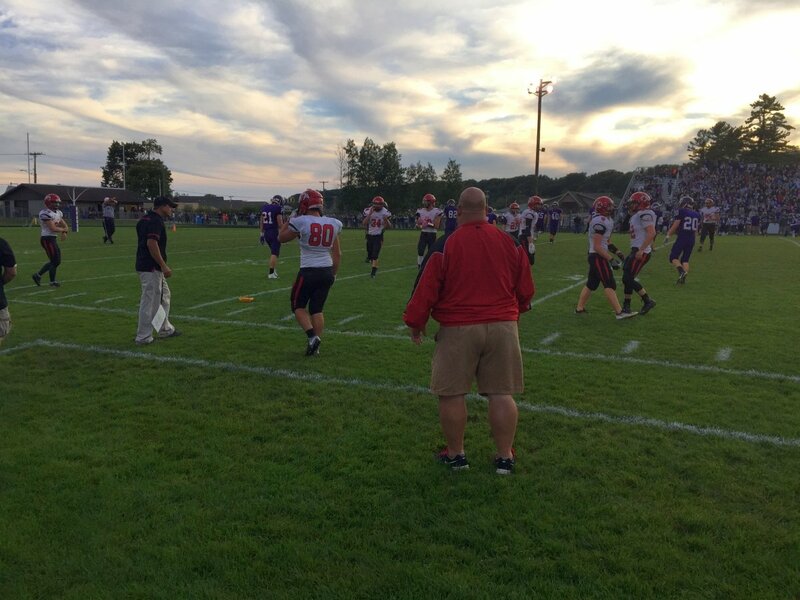 Gladstone brought themselves right back into the game on the opening kick off to start the second half, which they returned 75 yards to make the score 31-22 after a failed two point conversion. The Marquette Redmen had their hands full in the third quarter, but they continued their strong running plays. As the third quarter ran on, Marquette was able to once again extend their lead, this time to 16 points. However, the Braves answered back with a touchdown of their own, and after a two point conversion, the score was 38-30 at the end of three quarters. The fourth quarter of the game between the Marquette Redmen and the Gladstone Braves was a bombshell. Both teams put up multiple scores early in the quarter, and with just over half of the quarter left, Marquette held a minor lead of just seven points. Marquette’s usually strong defense continued to have problems, and with less than half of the final quarter remaining, the Braves took the lead on a two point conversion with a score of 45-46. Marquette had a chance to retake the lead with a 33 yard field goal attempt, but they missed the kick, and Gladstone took home the win. Make sure you join John, Pete, and Ryan next Friday, September 30th as the Redmen battle Kingsford Flivers in Kingsford, MI. 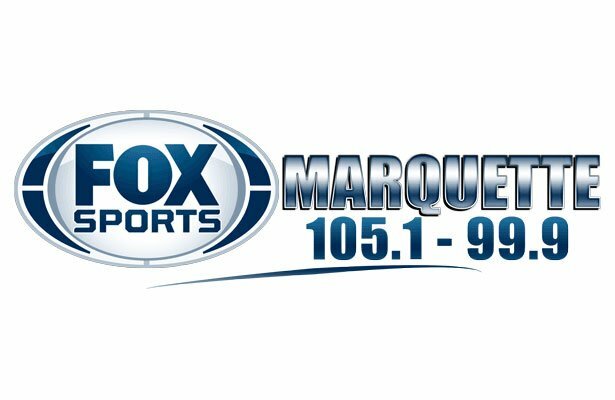 John and Pete will have the Honor Credit Union pregame show at 6:15pm on Fox Sports Marquette 105.1 & 99.9FM .